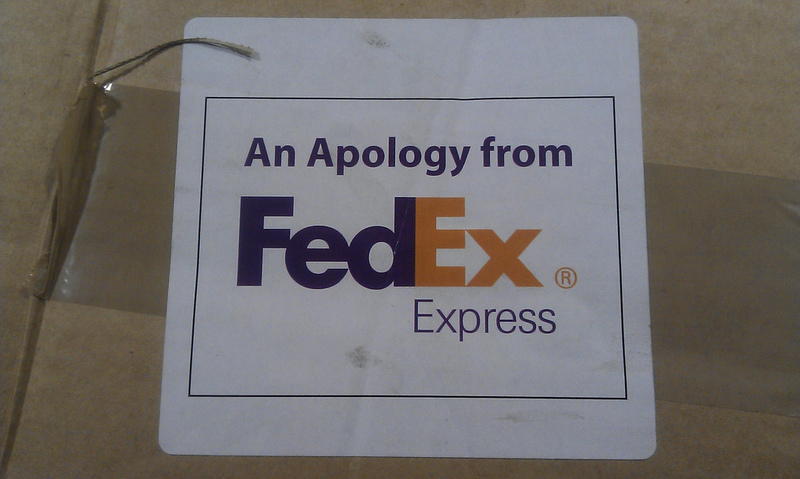 So, FedEx screwed up, really quite impressively. To their credit, someone got in touch with me via email within a few days of me posting that, to apologise and ask for the specifics so they could get it dealt with. I’ve been a bit busy this week, so I’ve not had a chance to reply to them yet. In the meantime, my complaint letter must have winged its way to someone, as yesterday I got an email, confirming the information I’d asked for, and apologising for the bad service. Excellent: I’d got what I asked for, and that was an end to the issue. But this afternoon, a package arrived for me. A big, heavy package from FedEx. I went off to collect it, with no idea why they were still contacting me: as far as I was concerned, the matter was closed. And the contents gave even more of a clue: an apology note, and lots of delicious goodies! 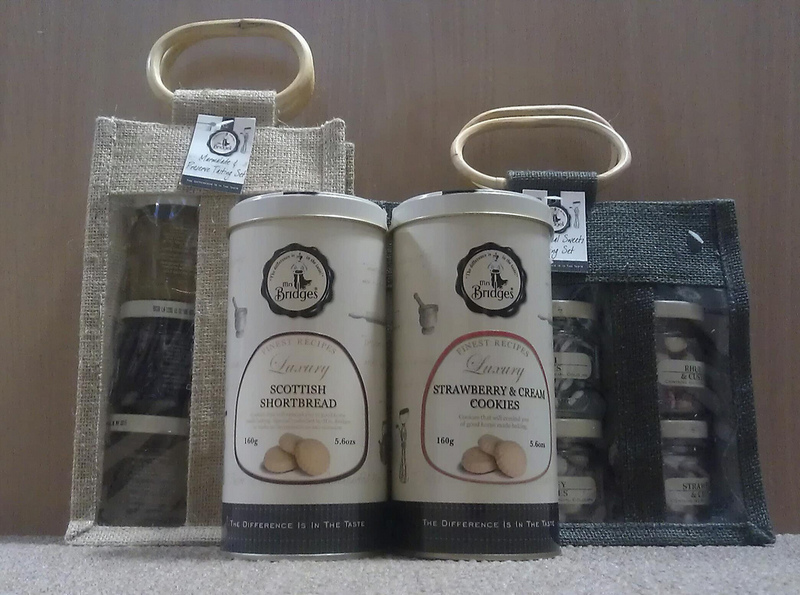 Strawberry and cream cookies, shortbread, jams and marmalades, and dinky jars of classic sweets, yay! OK: so they got things wrong. A lot. And drove me utterly up the wall for months. But once my complaint actually made it to the attention of someone with some customer service skills, they did their best to fix it. They deserve some credit for that. So, FedEx, thanks for sweetening my day. Just make sure you keep an eye on your invoicing department in future? Next Next post: Is your techie toy reducing your reading habits?